Seth has been producing and hosting podcasts since 2011. Here are some of his recent podcasts. 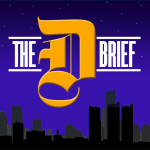 The D Brief: Detroit Arts & Entertainment: Seth Resler and Mike Geeter interview the go-getters and heavy hitters in the Detroit arts and entertainment scene. Worldwide Radio Summit: Backstage Interviews: What’s the state of the radio broadcasting industry? 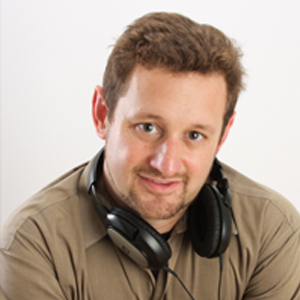 Seth Resler goes backstage at the Worldwide Radio Summit to interview leaders in the radio broadcasting industry, including air talent, executives, record label representatives, and more. Taste Trekkers: Find Dining: A podcast for foodies who love travel and travelers who love food. Seth talks to culinary experts around the world to learn about their local food scenes. CES for Radio: What does the connected car mean for radio stations? Our Digital Dot Connector, Seth Resler, explores the topic in a series of backstage interviews with broadcasting and automotive industry leaders at the 2015 DASH Conference. DASH: The Future of Radio And the Connected Car: What does the connected car mean for radio stations? Our Digital Dot Connector, Seth Resler, explores the topic in a series of backstage interviews with broadcasting and automotive industry leaders at the 2015 DASH Conference. Detroit vs. Detroiters: Detroit comedians take on Comedy Central’s Detroit comedy. Detroit comedian Mike Geeter joins Seth to discuss the Motor City references in the TV show Detroiters starring Sam Richardson and Tim Robinson.